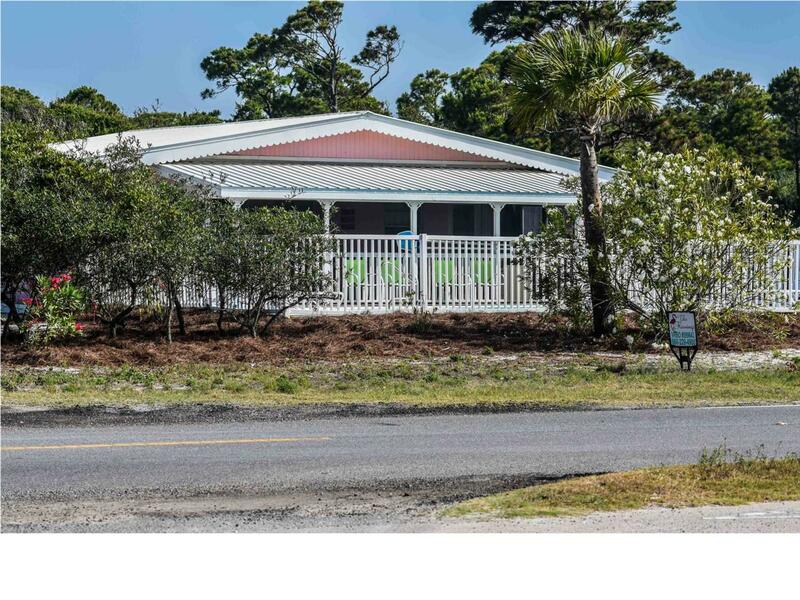 Pink Flamingo is a wonderful ground level old-Florida style cottage that has been completely renovated! The seaside chic interior is fresh and inviting, an obvious hit with loyal vacationers! 3 generous sized bedrooms with 2 full baths, hardwood floors, beamed ceilings, tongue and groove whitewashed walls, granite counter tops, stainless appliances, large screened front porch and private pool are just a few of the features! The corner location makes for super easy access to the sugar white beach which is only a few steps across Gulf Beach Dr and Gorrie! Only 5 blocks from the commercial district, just hop on the bike path across the street and you're there in minutes! Current Wind insurance to come, Fire insurance costs $786. Owner CARRIES assumable Flood Policy - Current Cost $1021.00 annually!See Realtor Remarks regarding rental income! Exclusions Locked Owners Closets And Contents Of Storage Building in Back.